AFL-CIO affiliate Working America and associated organizations are currently pursuing an effort to raise the minimum wage in Albuquerque from $7.50 an hour to $8.50. Unlike past hikes in the mandated wage, this proposal would also increase the wage annually to mirror the rate of inflation. The cause of improving low-income workers living standards is surely a noble one, but the rationale behind the proposed wage hike is riddled with misconceptions concerning the economics of labor. Well-intended policies do not necessarily generate positive outcomes, rather unintended consequences are inevitable. 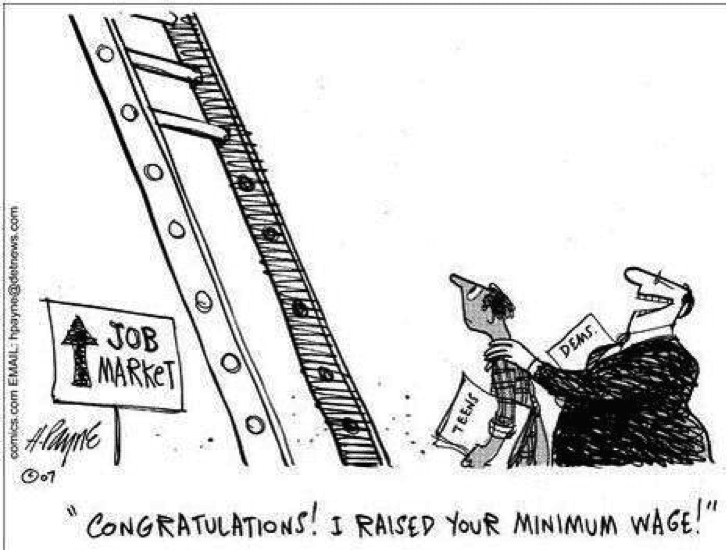 Consider the purported beneficiaries of a higher minimum wage. While often portrayed as single moms with children, the reality is that only about 20 percent of those currently earning the minimum wage in New Mexico are the breadwinners in families with children. More than 50 percent either live with their families, a spouse, or have some other family support structure in place to pay a majority of the bills. Additionally, the average family income of families with a minimum-wage earner exceeds $55,000 and the median exceeds $43,000 annually. It is far more likely that a minimum wage earner is part of a family unit with higher-paid members than it is that they are using a minimum wage job to support a family. Even in that stereotypical situation, that family is not living on a minimum wage salary. There are dozens of programs including the Earned Income Tax Credit, food stamps, and Medicaid to help pay the bills and provide needed goods and services. Roughly half of New Mexicans who are currently working at the minimum wage have either just recently entered the workforce or are working “odd jobs” for extra income. This is affirmed by data from the Census Bureau which shows that approximately half of all minimum wage workers are what might be called their “prime working years (26-65). The other half are aged 25 or less or are older than 65. Of course, mandated wage laws overlook the fact that different people have different skills and do work that is worth more or less in the marketplace. These laws disregard this fact and force employers to pay higher prices for labor despite massive differences in quality. The increase in the price of labor inevitably forces employers to make tradeoffs. These can include demands for the increase of worker productivity, cutting or abolishing non-mandated fringe benefits, decreasing work hours, and the firing (or non-hiring) of low-productivity employees i.e. marginal workers who often consist of the working poor and teenagers. Already, in today’s weak economy, New Mexico’s teen unemployment rate is 22.6 percent – a dramatic increase from 13.2 percent in 2002 (prior to the last Congressionally-mandated bump in the minimum wage and the recent economic downturn). Increasing Albuquerque’s minimum wage could push even more young people out of the work force entirely. Laws which artificially raise the price of labor send signals to entrepreneurs who view such interventions as just one more obstacle placed upon starting a small business. It is reasonable to consider that a mandated price hike on labor may very well turn away individuals who would have otherwise proceeded with entering the market. Increasing the expenses associated with starting a business will not benefit the populace of Albuquerque, but instead create barriers to entry for the aspiring entrepreneur. Raising the minimum wage rate in Albuquerque is not the correct solution to improve the city’s economy or help those struggling to get by. The answer is to provide an environment whereby businesses can operate free of undue and harmful regulations, where individuals are free to competitively pursue employment, and private entrepreneurs are given the freedom to actualize their ideas and create value within the society. Economic liberty, not the coercive actions of the state, is what is necessary for the citizens of Albuquerque to prosper. 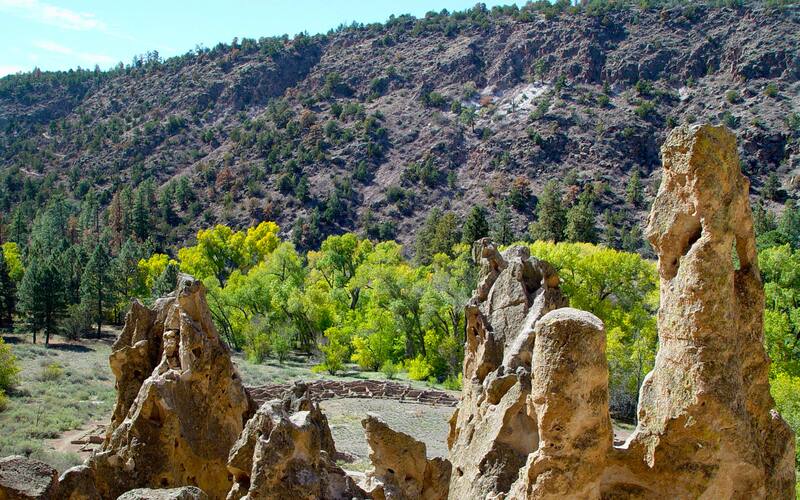 Ben Sugg is a policy analyst with New Mexico’s Rio Grande Foundation. The Rio Grande Foundation is an independent, non-partisan, tax-exempt research and educational organization dedicated to promoting prosperity for New Mexico based on principles of limited government, economic freedom and individual responsibility.